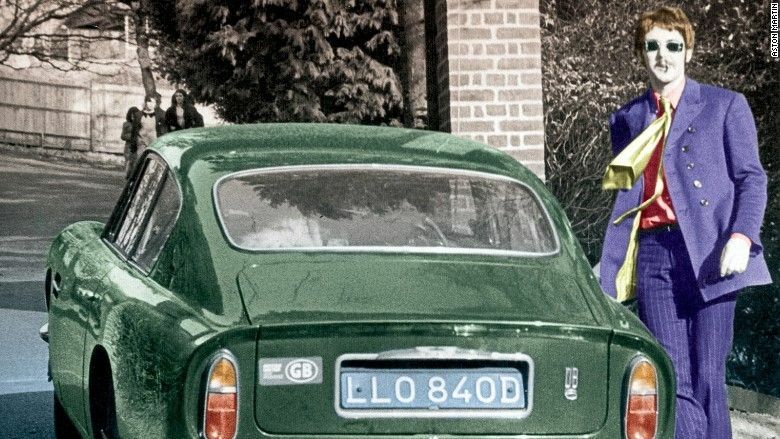 What Cars Did The Beatles Drive? Who doesn’t know the iconic group The Beatles? But do you know which car they drove? During a tour of the group in the summer of 1964, Paul McCartney ordered the Aston Martin DB5, a beautiful, luxurious car that was delivered at the end of that year. It used to cost, at that time, 3800 pounds and made its owner happy during 6 years. Sold later on, this vehicle knew several owners before landing, in 2012, in the hands of a man who restored it completely. This car was put on auction in December at New Bond Street in London for the value of 1.4 to 1.7 million euros, and all the fans were at the rendezvous! Richard Starkey, better known as Ringo, loved to drive his Mini Cooper acquired in 1966. Car in which, in 1967, he visited his wife Maureen at the Queen Charlotte’s Hospital in London, the day after the birth of his son Jason. This two-color Mini model, with its beautiful rear lights, was sold in 1968. 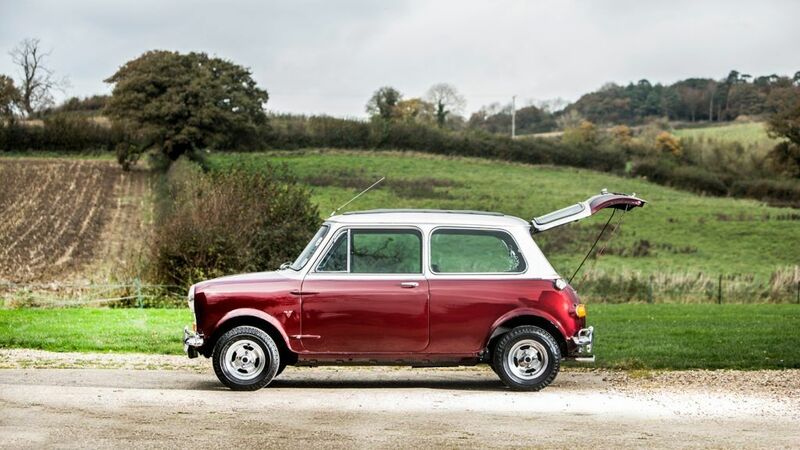 This car appeared in various BBC television programs from 1984, because it was called the « Rolls-Royce of Minis ». Thus, less luxurious than Paul McCartney’s car, it was also auctioned in London with an estimated value between 100 and 140 thousand euros. This superb vehicle has participated in several elegance competitions and is one of 10 copies made with a steering wheel of its right side. John Lennon bought it when he was only 25 years old. It was with this car that the group went to Buckingham Palace on October 26, 1965, at the royal ceremony of Elizabeth the 2nd. Since 2001, it’s kept by the same owner for a value evaluated between 680 000 and 900 000 euros. Mini Coopers were offered to each member of the group by Brian Epstein in 1966. 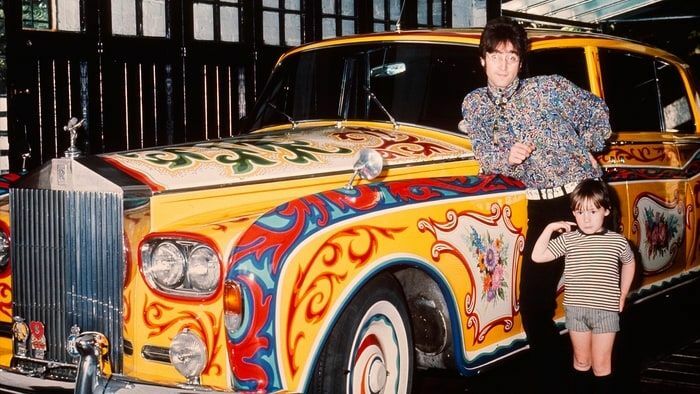 George Harrison then repainted his car with his now famous style, that featured in the movie The Magical Mystery Tour, in 1967. 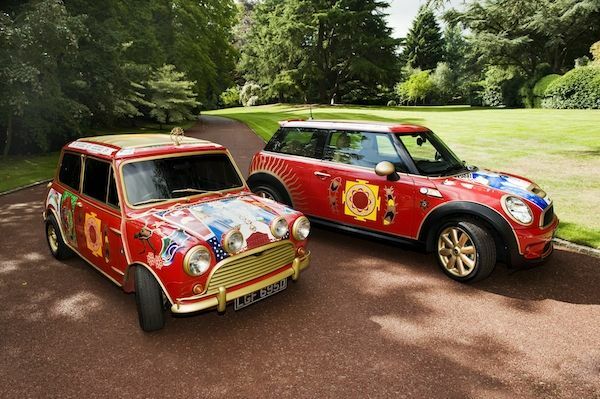 Moreover, the 50 years of Mini were celebrated by an interpretation of the artistic work that was George Harrison’s car.